South African Pink Lady Cornmeal Cake. 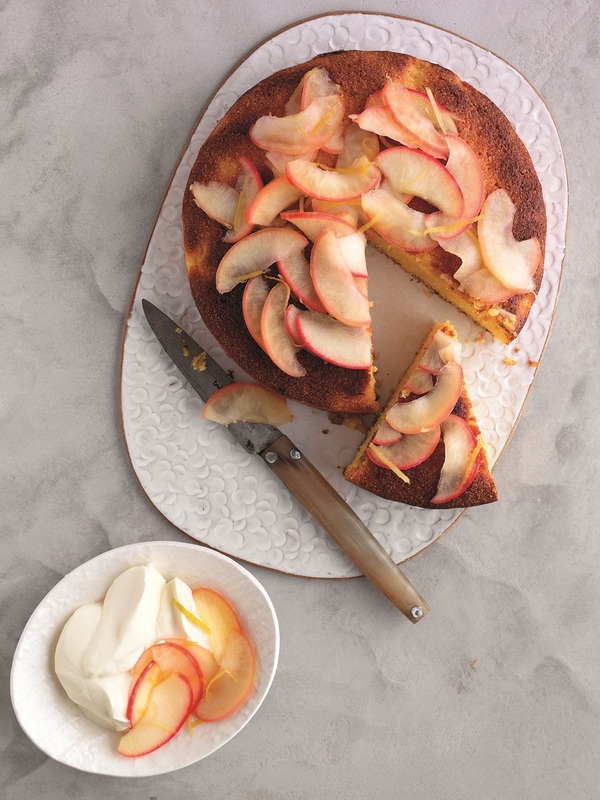 You must try a slice of this yummy gluten-free polenta cake made with South African apples and ground almonds – it’s moist, moreish and marvellous! 1 Cook the chopped apple in a small amount of water for 5-6 minutes, until tender. Drain and cool. Preheat the oven to 180°C/Fan 160°C/Gas Mark 4. Grease and line a 20cm round cake tin. 2 Beat the butter and sugar together until light and creamy, then gradually beat in the eggs. Fold in the vanilla, polenta, salt, ground almonds and baking powder. Stir in the lemon zest, lemon juice and cooled apples. 3 Transfer the mixture to the cake tin and level the top. Bake for 40-45 minutes until set and golden. Cool for 20 minutes in the tin, then turn out carefully and cool completely. Remove the lining paper. 4 Heat the lemon zest and juice with 4tbsp water and the icing sugar. Add the apple slices and simmer for 4-5 minutes. Spoon over the cake and cool. Serve with crème fraiche. Cook’s Tip: When grating zest from lemons, only remove the yellow part – the white pith has a bitter taste. What do you think of this cake recipe? "Ocean Spray® Whole Berry™ Review On Your way To 5 A Day"
"Lemon Possets With Shortbread: Afternoon Tea Treats"
I like the sound of this cake recipe. Looks very tasty. Ooh I have never tried anything like this before, I love the look of the cake! I have never had a cornmeal cake. This looks and sounds great – Thanks for sharing at the What's for Dinner party. This sounds so yummy! I've never had polenta cake! Oh! This look delicious. I have been trying to bake lately, I think I want to try doing this.